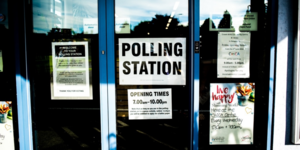 How will the general election result affect your business? The result has presented the UK with a situation that’s about as far removed as possible from the ‘strong and stable’ position we were told the government needed to be in when entering the Brexit negotiations, something that could have massive implications for UK-based businesses of all sizes. How many SMEs are there in the UK? Small and medium enterprises (SMEs) are those businesses with fewer than 250 employees. There are currently 5.4 million SMEs operating in the UK, which accounts for a staggering 99% of all businesses. Both the Conservative and Labour manifestos had big implications for SMEs in the UK – while Conservatives pledged to lower corporation tax, Labour insisted it needed raising to fall more in line with other European nations. And both parties pledged to increase the minimum living wage, with Labour promising to boost it to £10 an hour by 2020, which could have a massive impact particularly on smaller businesses that are already running on a tight budget. An uncertain future for SMEs? It’s hard to say, at this early stage, exactly how the general election result will affect SMEs, and the only thing we can say with any certainty is that the result has created further uncertainty for businesses. Although the Federation of Small Businesses (FSB) has been holding cross party talks to secure a number of important commitments for small business in many of the party manifestos in this election - notably on business rates reform, on protecting the self-employed from unfair tax rises, and on tackling late payments by big companies to their small business suppliers – the political landscape is far from stable. The UK has now had three straight years of campaigning and voting, and the EU referendum alone has meant that many are already grappling with the reality of currency fluctuations, rising costs, and the potential implications of Brexit and the effect on trade. Dr Adam Marshall, director general of the British Chambers of Commerce (BCC), said: "Whilst companies have for many months done their best to screen out political noise in order to focus on their own operations, this result will prove much harder for UK businesses to ignore. The swift formation of a functioning government is essential to business confidence and our wider economic prospects. And this uncertainty could be bad news for employers and employees alike, as Frances O’Grady, general secretary of the TUC, said: "This election was about bread and butter issues - what needs to change for ordinary working people. And no wonder. If current trends continue, in five years' time 3.5million people will be in insecure work, and the average wage is still £1,200 less than it was in 2008. Adding: "And it's clear that there is no mandate for a no-deal Brexit. The government should go back to the drawing board and negotiate a Brexit deal that puts UK jobs, decent wages and workers' rights first." At the time of writing, the Conservative party is still trying to tie up a deal with Northern Ireland’s Democratic Union Party (DUP), which is sees as the only viable way it can stay in power – and the combination of an unstable government and the unchartered territory of severance from the EU means the future for UK SMEs is very uncertain.The outcomes of the next few months and years of Brexit negotiations will have a profound effect on everything from the value of the pound to workers rights, from employment contracts to exports, imports, and taxes, so it really is a case of 'watch this space'. One thing your business can be certain of is that UKPower will compare prices from a wide panel of energy suppliers to get you the best deal and save money on your energy bill – find out more at our business energy page.